« Police Scotland are investigating the illegal trapping of a Buzzard near Auchintoul, Strathdearn. The battle to save our ‘Skydancers’. 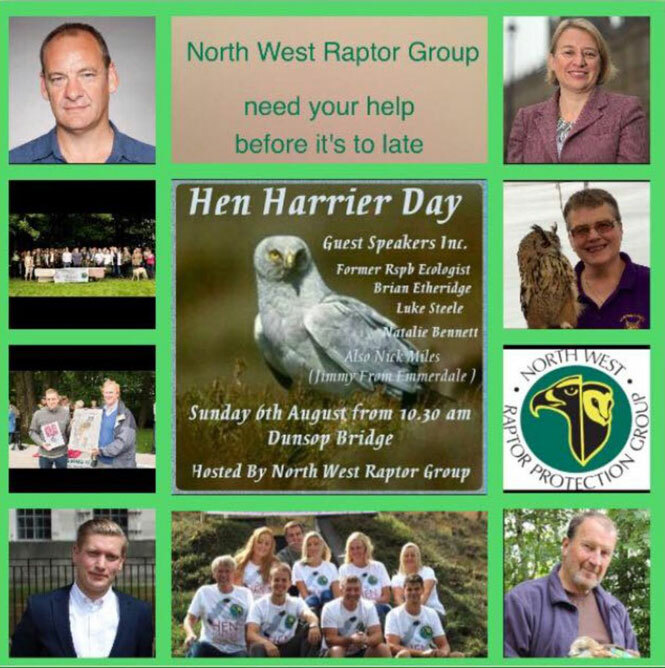 The fight to save England’s Hen Harriers will be highlighted on Sunday 6th August at the fourth Hen Harrier day being held at Dunsop Bridge in the Forest of Bowland hosted by the North West Raptor Protection Group. Everyone interested in saving this iconic moorland species from imminent extinction is invited to come along and voice concern at the ongoing killing of this ‘protected’ raptor. 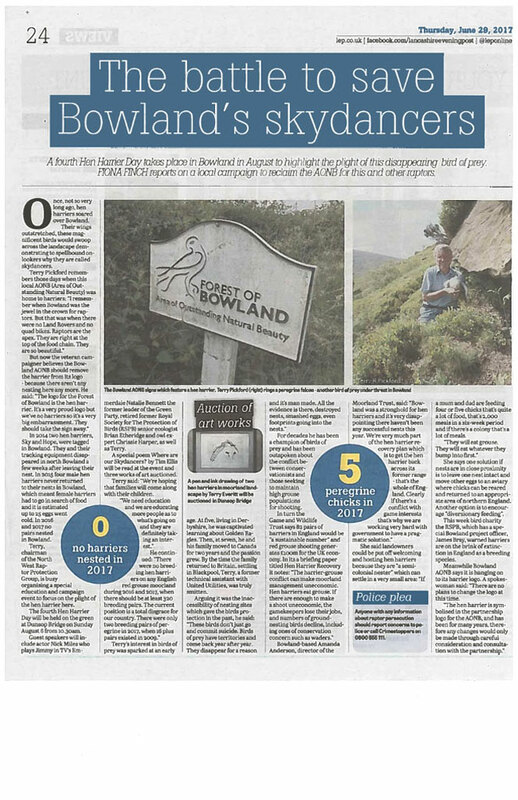 The attached article written by Fiona Finch was recently published by the Lancashire Evening Post. 2 comments to The battle to save our ‘Skydancers’. Was it United Utilities that gave permission for gamekeepers to work on Bowland? Secondly I don’t think that Bowland should replace the Hen Harrier logo, that would only please the gamekeepers and concede defeat to them! Editor’s Comment. Adam, It was the United Utilities management that over ruled their own estate manager who stated that “if gamekeepers were returned onto the Bowland estates there would be no Hen Harriers within 6 to 12 months”, that prediction turned into a reality.You may be correct about the Logo, but what an embarrassment it would be for our country if the logo was removed and replaced by the image of a dodo.. Thanks for your reply! Has a petition to United Utilities to have gamekeepers removed from Bowland being done? What pressure has United Utilities specifically come under against their disastrous decision do you know? Editor’s Comment. Hi Adam, No, to your first question. What is very interesting the moorland in Bowland where the company encourage game shooting use lead cartridges, on this raw water catchment; water then used by millions of customers in the north west of England to drink. You try and dump a few kilos of lead shot on to these moorlands and you would be prosecuted, but shooters are depositing many hundreds of kilos of lead onto these moors each year via their cartridges. Game shooting has been going on in the Forest of Bowland for over 100 years.I hate to think how many hundreds of tons of toxic lead shot during this period has been deposited throughout this important water catchment during this period. No one knows just how much damage is being done to peoples health. We are aware of the death of at least one local Bowland gamekeeper due to stomach cancer, this keeper often drank water from the streams in Bowland.